American colleges in the late eighteenth and early nineteenth centuries were very different from colleges today. Most had only a handful of students and faculty. College libraries were small and access to books was limited. Students were expected to learn everything they needed to know from their textbooks. 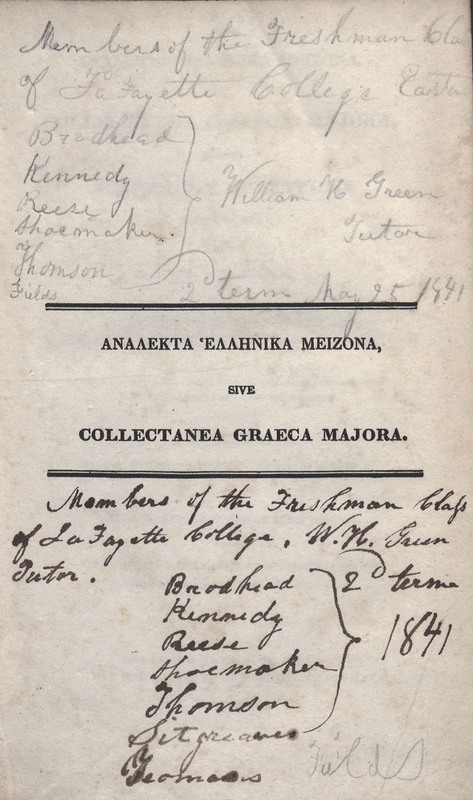 The general college curriculum focused on classical learning, which meant that students took classes in Latin and Greek. Other courses included philosophy, mathematics, geography, history, and theology. 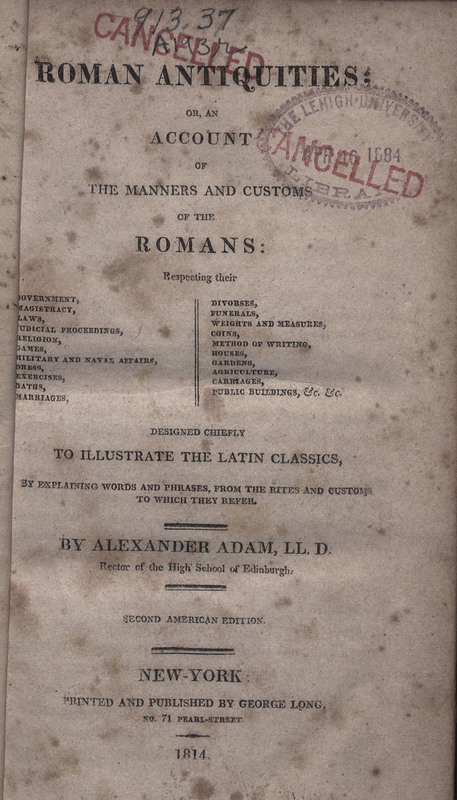 In a well-known report issued by Yale University in 1828, the faculty argued that Latin and Greek were essential for young American men. But a growing number of educators began to question the usefulness of a classical education. Eventually, colleges began to broaden their offerings to include courses in modern languages, science, engineering, and other subjects. A few textbooks, written by well-known British authors, dominated the textbook market in the United States during the early nineteenth century. Their popularity testifies to the ubiquity of the classical model in higher education. 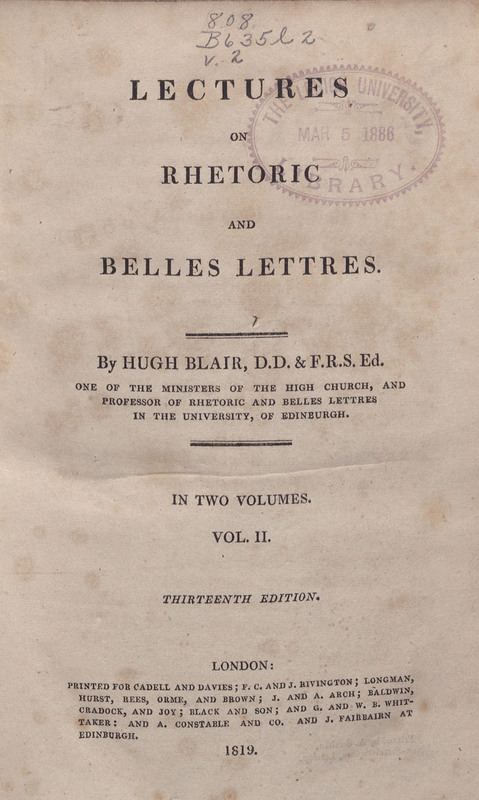 They included Alexander Adam’s Roman Antiquities, Andrew Dalzel’s Collectana Graeca Majora, William Paley’s Principles of Moral and Political Philosophy, and Hugh Blair’s Lectures on Rhetoric and Belle Lettres. 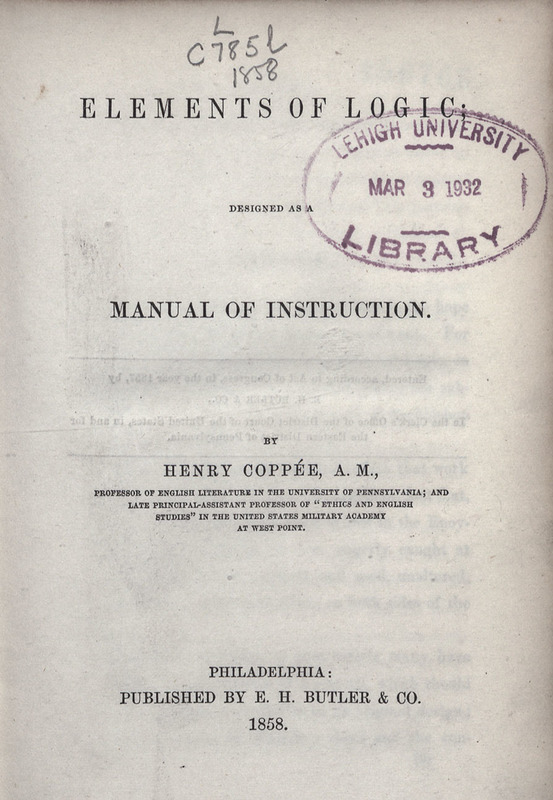 Rather than importing these books, most colleges worked directly with local printers to publish American editions. Edgar Allan Poe. 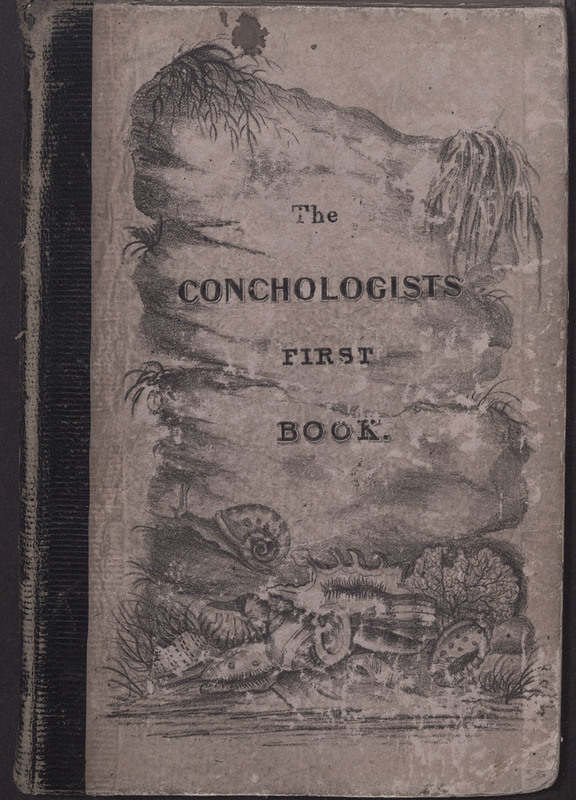 The Conchologist's First Book. Philadelphia: Haswell, Barrington, and Haswell, 1839. One of the most curious early American textbooks is The Conchologist’s First Book (1839), a guide to shells. Most of the book’s content was lifted from Thomas Wyatt’s Manual of Conchology (1839) and Thomas Brown’s The Conchologist’s Text-Book (1833). A Philadelphia publisher paid author Edgar Allan Poe to write a new preface and introduction, do some translations, and lend his name to the work. Although critics complained about Poe’s plagiarism, the book was a commercial success. In fact, it was the only one of Poe’s books to be reprinted in his lifetime. Henry Coppée. Elements of Logic. Philadelphia: Butler, 1858. 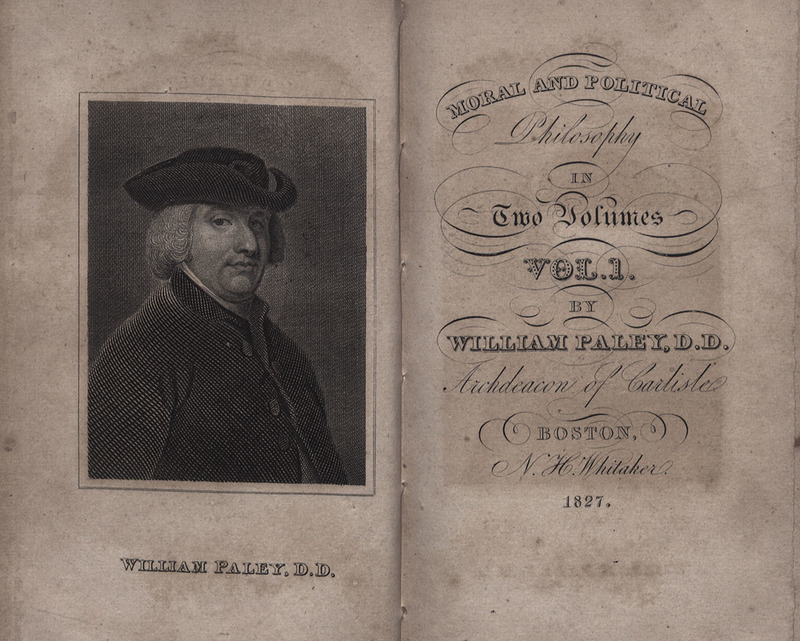 William Paley. The Principles of Moral and Political Philosophy. Boston: N.H. Whitaker, 1827. Alexander Adam. Roman Antiquities. New York: G. Long, 1814.